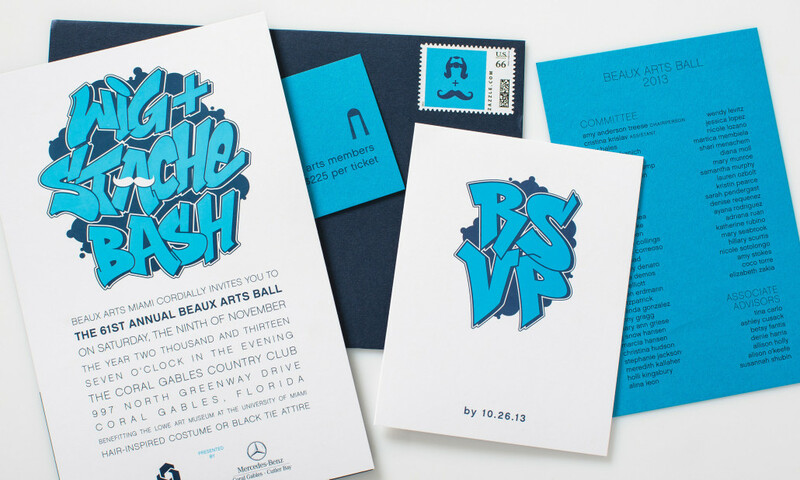 This invitation for the 2013 Beaux Arts Ball was a little bit urban this year, but perfect for this event that requests black tie or wig and ‘stache inspired costume attire. 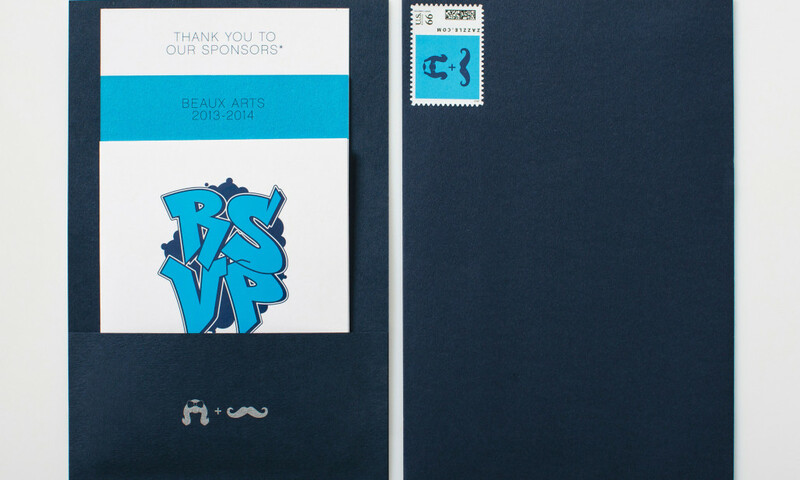 The set includes an RSVP set and sponsorship card, all tucked neatly into a back pocket. We worked with a local graffiti artist to create the logo – note the tiny white mustache on the A – and completed the set with a matching custom stamp.